Our range of products include heat exchangers and condensers, direct contact type condenser, reboilers and heat exchanger parts. We are leading manufacturer, Importers and Service Provider of Heat Exchangers and Condensers and our product is made up of good quality. Heat Exchangers and Condensers are required for a variety of industrial applications. These range with a supreme operative design. 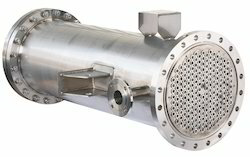 We offer heat exchanger to meet high temperatures that can be altered as per the client''s demands. Made under expert supervision, our heat exchangers are well-constructed in respect with the global quality standards. We offer our reliable service for all our products including condenser water pumps, crystallizer, tubular heat exchanger and others listed below. 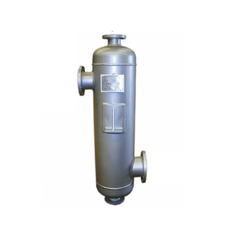 our heat exchanger equipment is aesthetically designed and is eco-friendly. They can be customized as per the illustrations and capacity range needed by the clients for specific purposes. We are leading manufacturer, Importers and Service Provider of Direct Contact Type Condenser and our product is made up of good quality. These heat exchangers are constructed from high-quality metal that imparts desirable durability to the system. It is used to transfer heat energy from one fluid to another fluid. Transfer of energy in the form of heat from one fluid to another fluid is termed as the heat exchanger. Perfect understanding of the problem, finding the exact properties and designing the heat transfer equipment for trouble free and efficient operation is our trend. We are leading manufacturer, Importers and Service Provider of Reboilers and our product is made up of good quality. It is used to transfer heat energy from one fluid to another fluid. Transfer of energy in the form of heat from one fluid to another fluid is termed as a heat exchanger. 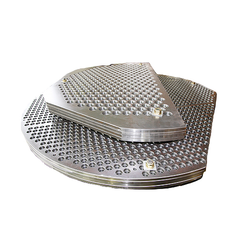 We are leading manufacturer, Importers and Service Provider of Heat Exchanger Parts and our product is made up of good quality. 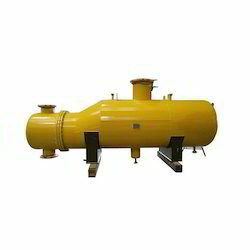 We have carved a niche amongst the topmost organizations in this business and are engaged in offering Heat Exchanger Parts.